watch. me. eat. it. and. thrive. still. the body knows what it wants and who am i to stand in the way of this certainty? 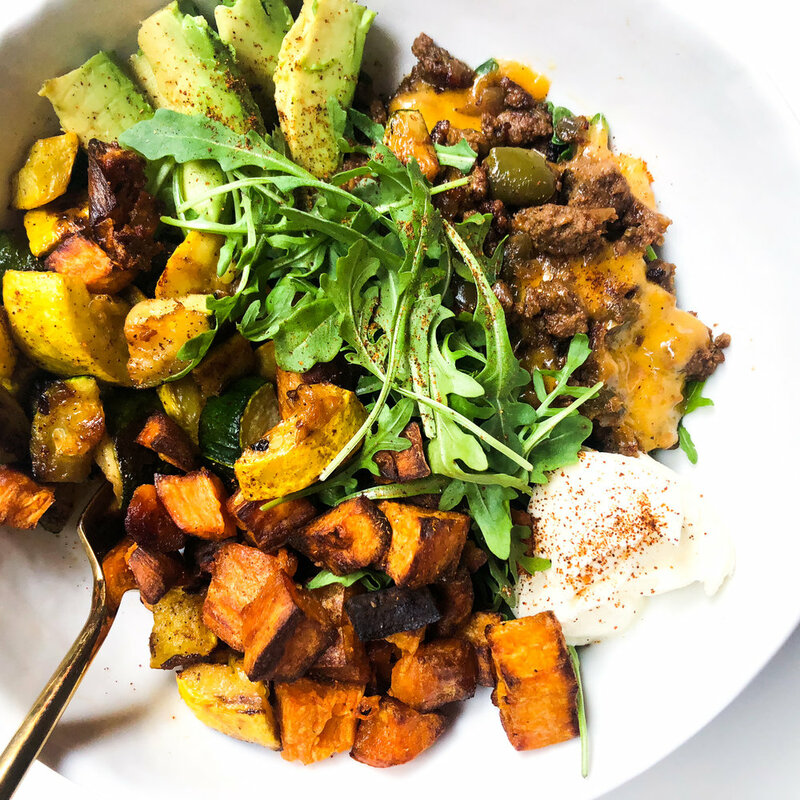 while the meat + potatoes are cookin', prep your toppings - slice avocado, portion arugula, crème fraiche, etc. 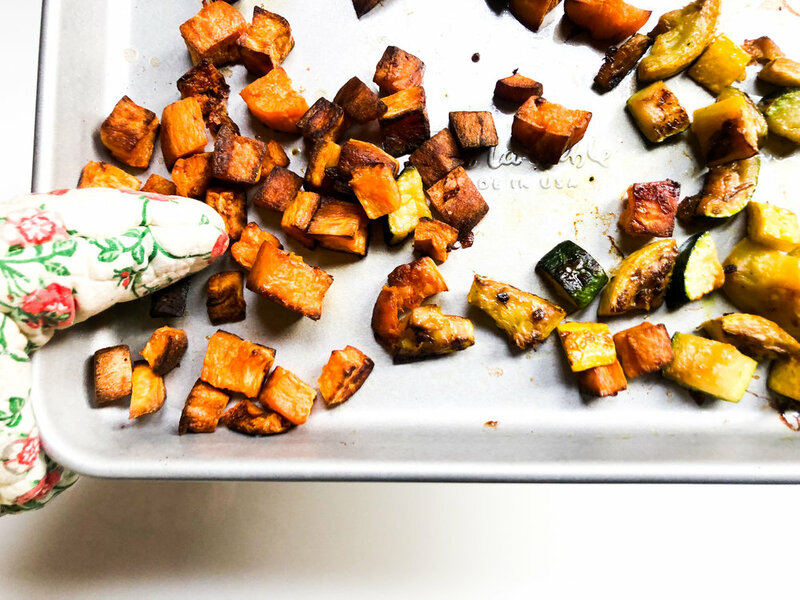 portion squash directly into serving bowl, then portion sweet potatoes and final toppings into bowl, and you're done!